Whether cleaning out the frig, or knowing something is a bit off with an engine, it’s important to have a discerning nose. And isn’t it amazing that a scent can transport us back in time? That is what happened to me this week. I grew up on farm. If you know anything about farming, you know that one also needs to be mechanical because things break down. Since there isn’t any money to be made by farming, hiring a repairman is pretty much the last thing any smart farmer will do. My dad was a diesel mechanic in the Army, so he can fix anything from a toaster oven to a bulldozer, and all things in between. This skill has served him well which is why he is still farming and not bankrupt. My dad was a wise parent as I was growing up. He taught me how to do things for myself. Mechanical ability isn’t exactly an area of giftedness that I share with him. I was forced to learn how to change a flat tire, my own oil (and filter, thank you) and other routine things with my car. It’s not my thing, but if I was in a pinch, I could probably manage those tasks myself. I’m grateful I have not been in many pinches and try to avoid them at all costs. But what’s amazing is that the whiff of a tool shop or car repair place will completely throw me back to dad’s garage. Recently I stopped at a parts store to pick up some necessities. I will intentionally not ask for help right away, trying to find whatever it is I need on my own, just to prolong my time in this greasy mechanical territory. I just love the smell and the memories it carries of time spent with my dad. Then he gave me an odd look and said, “You smell good.” I think I blushed, but I did manage to thank him. He said, “We don’t get that in here too often.” Wow, ok then, thanks Bath and Body Works Lotion. I thought I was just correcting all the skin damage from my time at the beach lately. I didn’t realize I was improving the environment! It was definitely a keen observation on his part. This time of year, most of the fellas that drag in there have probably been sweating under a car lift. Mix that with the permeation of grease and other essences, and it’s definitely manly. 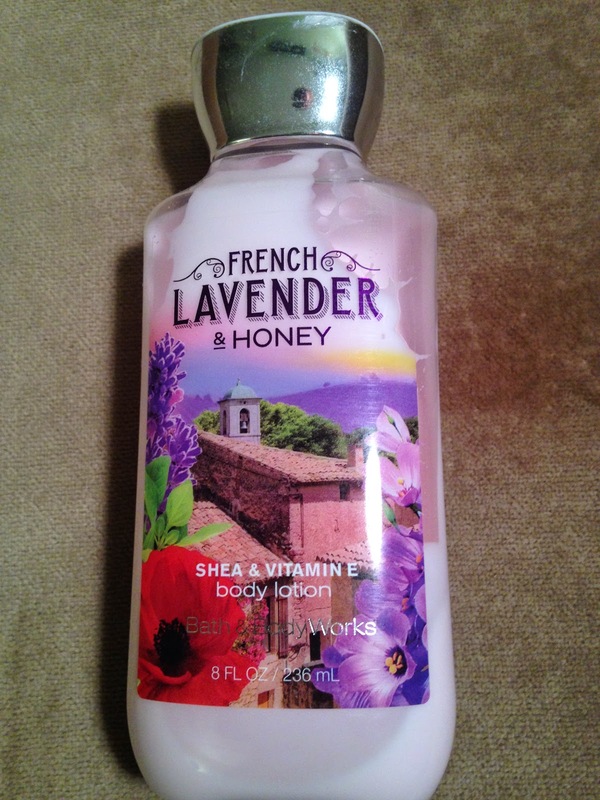 Not exactly the French Lavender and Honey I was sporting that day. should have an influence when we are around. When it does happen, I think it may resemble this little incident. That people would take notice of something that’s distinctive, something that stands apart. That whole aroma thing is a difference worth making.